*Disclosure: We did receive products and compensation to facilitate my review, these opinions are my own and were in no way influenced by another person. Love to travel to warm places? I have the perfect accessory for you to tuck in your travel bag, especially if you might find yourself on a sun soaked beach or in a busy theme park on a hot day. The new Honeywell Turbo on the Go! 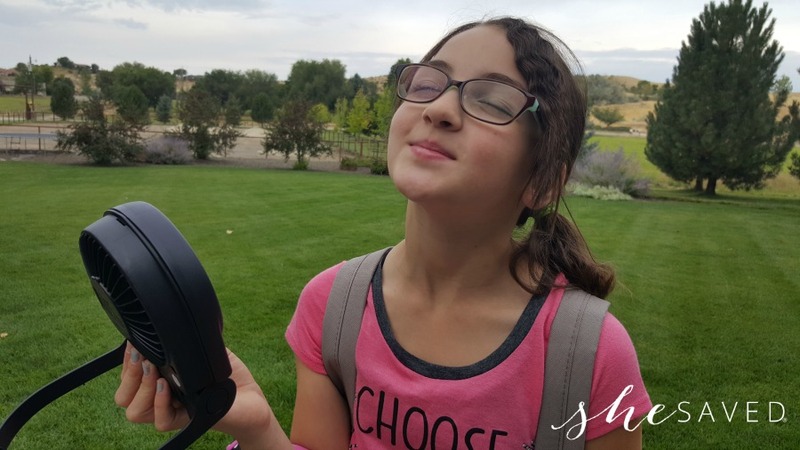 Portable fan is the perfect item to add to your travel packing list. Operated by battery or USB, Turbo on the Go! is extremely compact and weighs about a ½ a pound making it easy to fit in any beach bag. With its easy-to-fold and hang handle, Turbo on the Go! is the must-have accessory to keep your family cool no matter where your summer vacation takes you. That is my favorite part! For under $12 you can get the Honeywell Turbo on the Go! Portable fan! This would make a great gift for anyone on your list, especially beach lovers! This is a great (and very affordable) little gadget. It is very lightweight and the fan isn’t too loud. Like I said, my favorite part is the price. I really like Honeywell products, we own several. 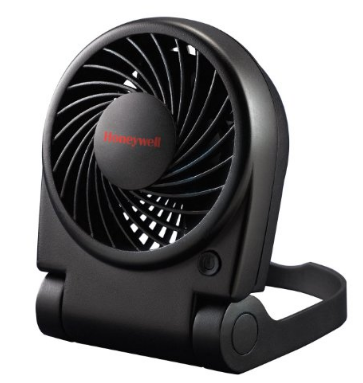 We also reviewed the Honeywell QuietSet Whole Room Tower Fan and it is by far the best room fan that we have ever owned. SUPER quiet and it has amazing oscillation & breeze settings. It of course is a bit more expensive, but such an awesome product. You can read more reviews here.